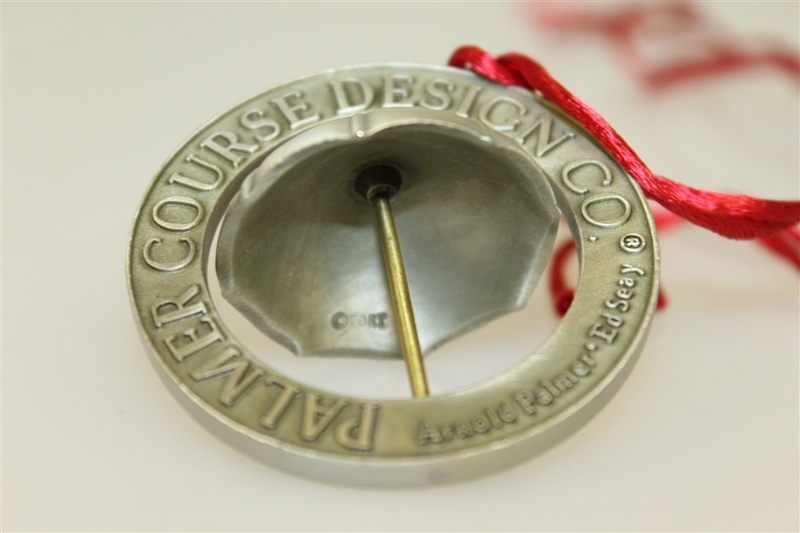 "The King" was known for his accomplishments on and off of the course, and for inventing the Arnold Palmer drink. 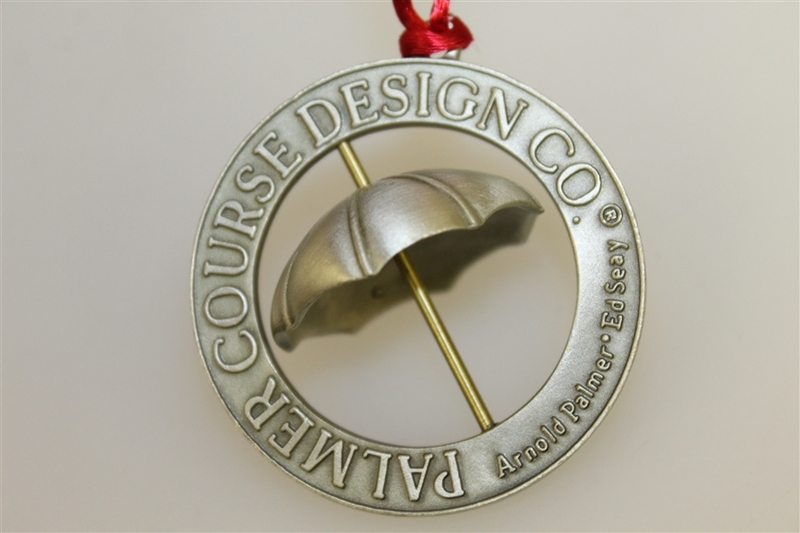 Featured here are four ornaments from the Palmer Course Design Co. 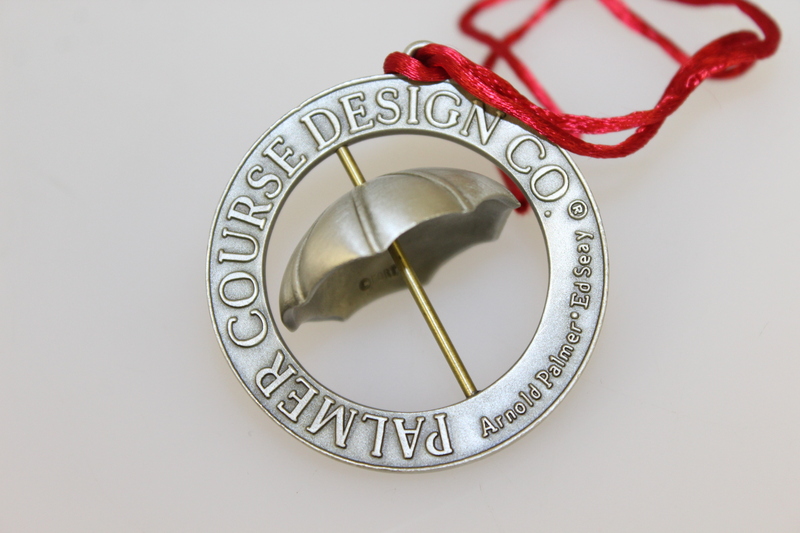 They feature Palmers iconic tilted umbrella logo in the center and have the words Palmer Course Design Co. embossed in the ring around the umbrella. 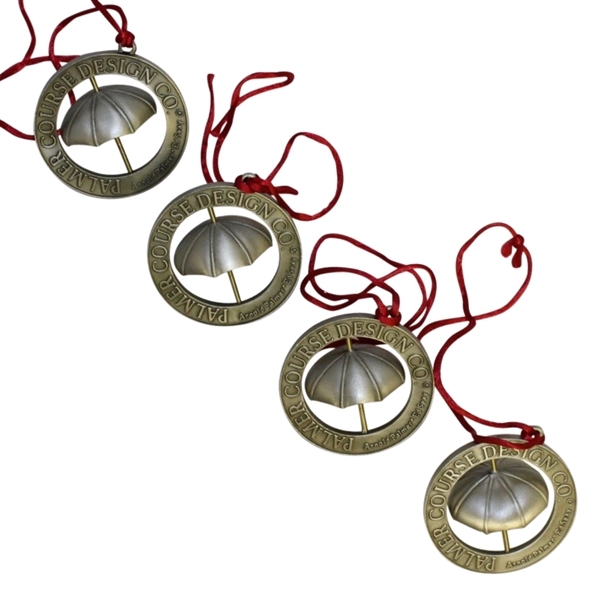 Each ornament has smooth red rope attached to the top that can be tied together to hang and display this beautiful piece for all to see. 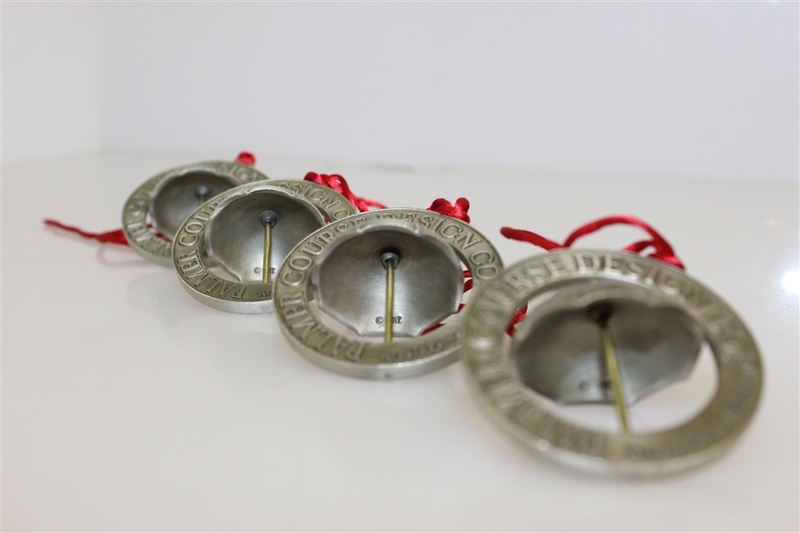 Each ornament is in original condition. 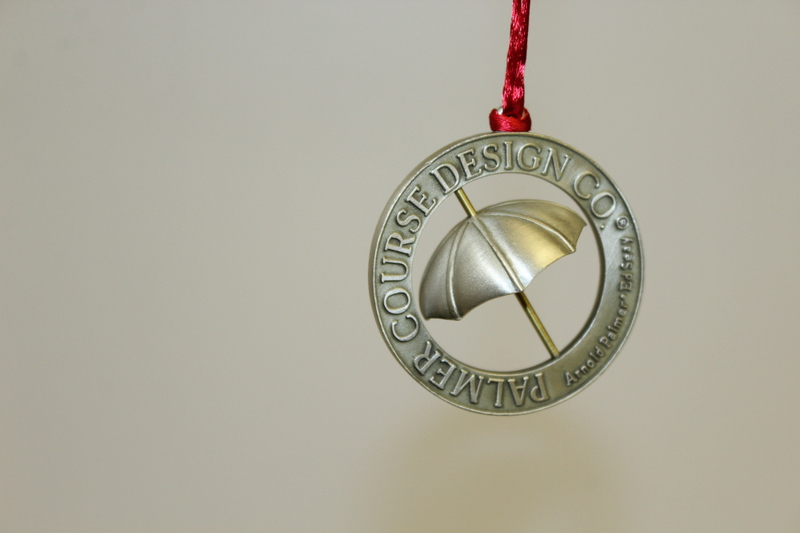 Each ornament measures 2" in diameter.